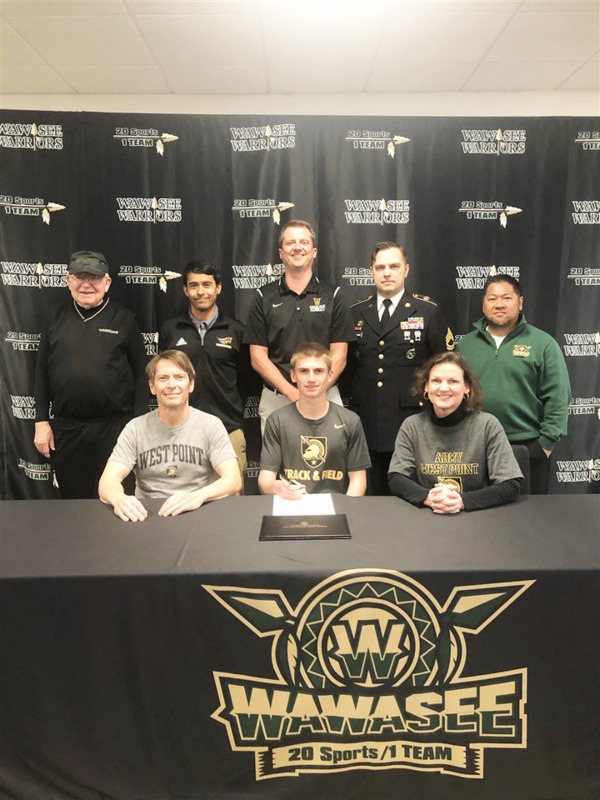 Wawasee senior Luke Griner (front row, center) signed a letter of intent Friday to continue his academic and track careers as a cadet candidate at the United States Military Academy Preparatory School in West Point, N.Y. In the front row are Griner’s parents, Joe Griner (L) and Merry Clossen. In the back row are (L to R) Wawasee coaches Dave Stookey, Frank Pizana and Vince Beasley, Sgt. 1st class Matthew Czerniewski, Army recruiter from Warsaw; and Wawasee Principal Kim Nguyen.